Do you drive to school? Want to earn some extra allowance? Try driving with GrabHitch, you can earn extra pocket money while meeting new people from school! Campus Hitch is the concept of hitch-hiking to your campus with GrabHitch, which is a service that allows anyone with a car to pick-up and drop-off people going the same way in exchange for a fee. As a GrabHitch driver, you choose your passengers, and if you’re in a hurry you can always Hitch another day- there’s no minimum driving requirement! So if you’re driving to school, why not drive with GrabHitch? Imagine paying for a pair of movie tickets for you and your boyfriend/girlfriend every week, just by doing 3 Hitch rides to school or back. 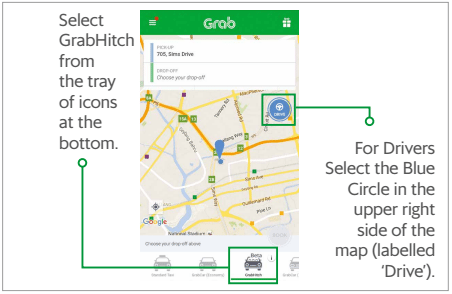 Tap on the Blue DRIVE Icon to sign up as a GrabHitch driver. 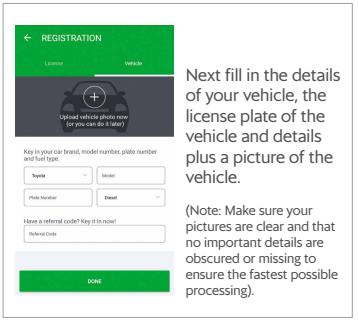 GrabHitch is a social ride sharing platform. Get a lift from drivers going the same way for about half the usual price of taking a taxi, expand your social network and reduce carbon footprint! GrabHitch works by matching drivers and passengers heading the same way, at the same time. It is not an on-demand service – GrabHitch drivers are regular commuters like you and I! Always be prepared ahead of time, never make your driver wait for you. Tip: Make a booking in advance to increase the odds of getting a ride! Sit in the front, greet your driver and introduce yourself when you get into the car! If you have extra friends or bags, please let the driver know beforehand. You don’t want to give your new friend a shock! 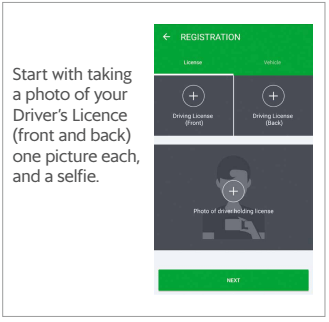 This promotion is only valid for new driver sign ups on GrabHitch. RM30 credit will only be credited in the driver wallet after the promotional period has ended. This driver incentive scheme ends 30th November 2016.